In 1908 Waseda University became the first private university in Japan to establish a science and engineering department. This achievement was realized through the passion and dedication of Shigenobu Okuma, the founder of Waseda, and was an extension of his desire to conduct wide-ranging education and research that spanned the fields of both science and engineering. In the century since then, the Faculty of Science and Engineering at Waseda University has grown into one of Japan’s foremost centers for education in these areas, welcoming many international students and succeeding in sending outstanding individuals back into the world. Fundamental, Creative, and Advanced. Each school takes advantage of its own unique characteristics while also cooperating with the others to foster scientists, engineers and researchers who can respond to the rapidly changing needs of society and industry on the global stage. Waseda University is one of Japan’s leading comprehensive universities, with more than 130 years of history and 50,000 students across 13 undergraduate and 22 graduate schools. Waseda has been keen to promote internationalization from an early stage, welcoming our first international students in 1884. Today, Waseda University has signed academic exchange agreements with more than 640 universities and institutions in 85 countries and regions worldwide. We are attended by more than 5,400 international students, which is also more than any other university in Japan. We seek to provide a highly diverse environment, a fact reflected in such facets of our school as our system for obtaining degrees solely in English, the activities of approximately 600 officially sanctioned clubs and interest groups (“circles”), and the staging of around 300 cross-cultural exchange events every year. One of the largest science and engineering undergraduate and graduate universities in Japan. With 1,137 part-time lecturers, the Faculty of Science and Engineering has an overall rich and talented teaching staff of 1,492. A diverse range of students gather from more than 50 countries and regions worldwide. Broad coverage of 7 majors and 6 minors in science and engineering. The oldest science and engineering undergraduate school of any private university in Japan. 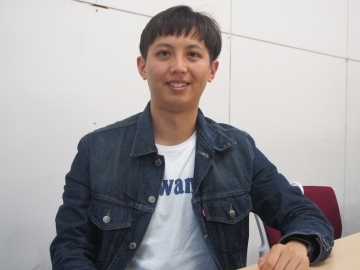 In 2010 the Faculty of Science and Engineering at Waseda University became one of the first institutions in Japan to introduce an “International Program”, offering students the opportunity to acquire an undergraduate degree based solely on learning in English. 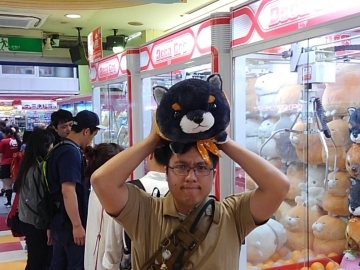 This idea has been highly acclaimed in both Japan and overseas. From September 2018, the undergraduate “International Program” will be reorganized into seven Majors, with the undergraduate and postgraduate education programs strengthened through the addition of new disciplines and by boosting the faculty. Based around this world-class program, we aim to create new value through the mutual stimulation of a diverse student body and by building the best possible environment for an education in science and engineering. 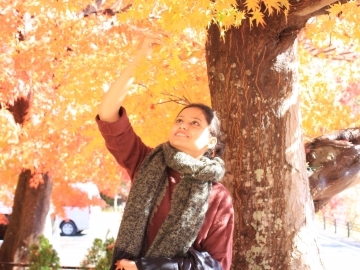 Utilizing Waseda University’s holistic and creative approach, FSE promotes diverse exchanges in scholarship, culture, language, and values across the university, in both the student’s academic and social environment. In this way, FSE fosters future members of society who will be able to contribute proactively to the global community. FSE also aims to equip students with a solid grounding in scientific and technical knowledge, as well as in humanities and social science, and to instill in them an active awareness of future possibilities that could help forge a new era. FSE believes that, rather than confining themselves to their own discipline, researchers and engineers should develop global perspectives that transcend geographical and academic boundaries. Based on this vision, FSE aims to foster future members of society who can make a global contribution in a variety of fields related to key technologies such as information and communications systems, machinery, electronics, material resources, art and media on the common foundation of mathematics. FSE offers two majors: Mathematical Sciences (MS) and Computer Science and Communications Engineering (CSCE). In MS, students study the fundamentals of science as well as specialist mathematical theories and applications. In CSCE, students study the various theories and technologies related to information and communications in today’s information society. In order to graduate, students must enroll in one of these majors, complete the required courses, complete the specialized courses in their major, and earn the number of credits required for graduation. MS students will receive a Bachelor of Science or Engineering degree, and CSCE students will receive a Bachelor of Engineering degree. Additionally, students who complete one of minors will receive certification to that effect. FSE offers two major programs, MS and CSCE, both of which are of an international standard, and both of which are designed to foster internationally-fluent future members of society. FSE also allows students the flexibility to study minors, thus extending the depth and breadth of their specialist knowledge. In addition, FSE caters to students from a variety of cultural backgrounds by allowing them to follow their major, whilst also taking a foreign language course: one of these is designed to enhance English language proficiency and encourage overseas study, while the other focuses on Japanese language proficiency and Japanese culture. In this way, FSE aims to facilitate intercultural exchange and foster future members of society who will be able to forge connections between Japan and the wider world. In terms of assigning students to laboratories, students can be welcomed into any one of the laboratories in the department that offers their major, or indeed into any other laboratory in the school. This policy helps cultivate diverse specialists. 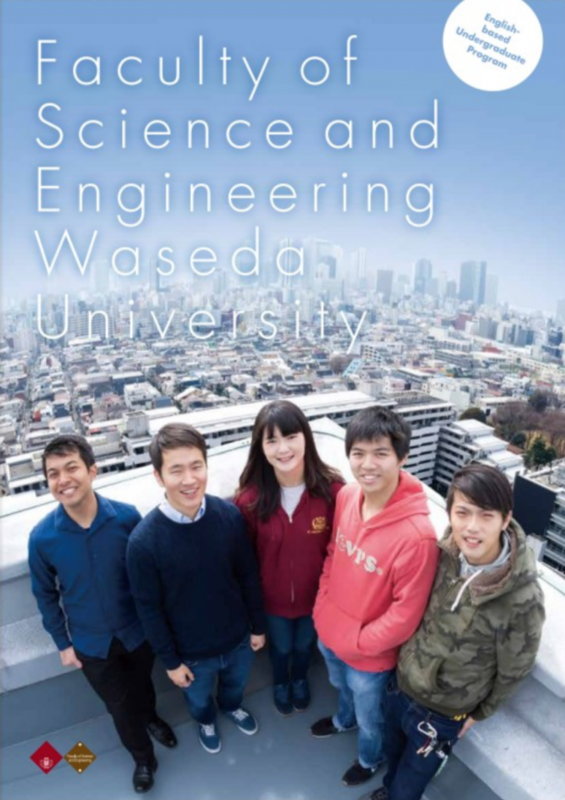 In line with Waseda University’s founding principle, “the preservation of the independence of scholarship,” FSE invites applications from a wide range of researchers and engineers from Japan and overseas who have the desire to acquire advanced knowledge, and who are capable of leading society and looking to impact the future of science and technology. Applicants will be selected based on their ability to study a science and technology curriculum in English, in order to obtain an English degree, and also based on their motivation to master the theoretical and practical abilities necessary in order to tackle both general and specialized courses. To this end, FSE considers it a prerequisite that applicants not only have a reasonable command of English but also have basic academic skills at a high-school level or equivalent. FSE will also take into consideration the applicant’s personal character, such as whether or not they have the communication skills required to play an active role on the world stage. Based on the three key words of humans, life and environment, the School of Creative Science and Engineering aims to foster future members of society who can apply scientific and technological perspectives in solving the various lifestyle and environmental problems that occur in their particular field, and who can bring a new richness to society based on diverse values. In order to create such richness, students will receive a practice-oriented education and conduct research into technological and environmental systems used to support people’s lives and create eco-friendly spaces, equipment and communities. This English language-based degree program is designed to foster internationally-fluent individuals who can make a global contribution in their field. 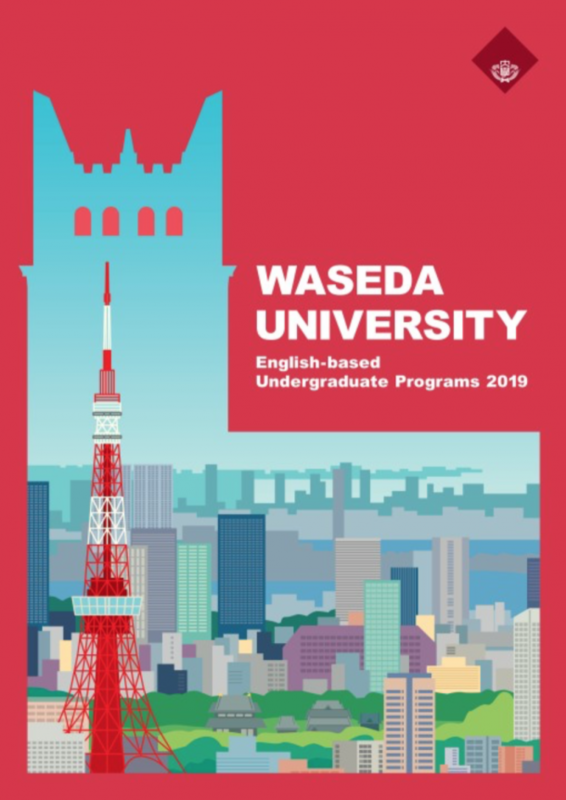 Utilizing the originality of Waseda University, the School of Creative Science and Engineering facilitates diverse exchanges in scholarship, culture, language and values, across the university-wide educational environment. In this way, the program fosters future members of society who will be able to contribute proactively to the global community. We are currently facing considerable global problems such as population increase, food and water shortages, diminishing natural resources and energy sources. Global warming and associated natural disasters are also becoming increasingly serious. There are various social issues as well, including the aging society, regional disparities in the provision of advanced medical services, decaying social infrastructure, and the resulting decline in safety. The school thus aims to equip students with an understanding of such problems that will enable them to develop practical solutions based on scientific and technological perspectives, thereby creating a future with a wealth of possibilities. Specifically, the School consists of two majors: Mechanical Engineering (ME) and Civil and Environmental Engineering (CE). In ME, students not only focus on mechanical engineering but also explore its connections with architectural and management engineering. In CE, students tackle a range of issues from a global perspective – including environmental preservation, improving living environments, and ensuring the safety of human society – and apply an engineering perspective to such issues. The curriculum provided by the school is of an international standard. 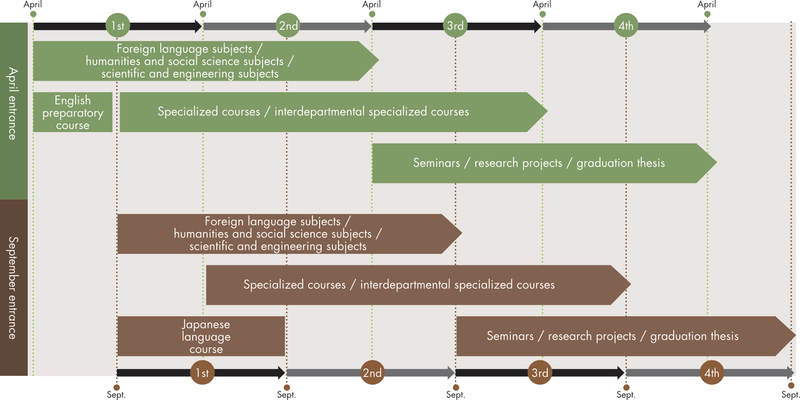 It allocates courses for each academic year in an effective manner. These courses include general engineering courses (which focus on mathematics, physics, and basic experimentation), specialized courses (which feature an organic combination of theory and practice), and language courses (which enable students to gain proficiency in English or in Japanese). For students in the early university years, the school has established a fieldwork-based school-wide SHIP course, which focuses on the themes of energy, environment, disasters, human society, and design. The SHIP course is designed to help students master broad knowledge and perspectives concerning the two majors of the school, while also helping them to determine which specialized courses they will take in subsequent years. In the fourth year, the curriculum culminates in the final research project, undertaken in a laboratory and related to the specialized courses that formed part their major. In this way, the school aims to foster future members of society who have mastered specialized knowledge and who are equipped with international perspectives, engineering ethics, adequate communication skills, and the ability to play a leading role in future society. In line with Waseda University’s founding principle, “the preservation of the independence of scholarship,” the School of Creative Science and Engineering welcomes applications from individuals from Japan and overseas who possess a solid grounding in basic scholarship, a powerful intellectual curiosity, an enterprising spirit in line with the university’s principles, and a strong motivation to pursue further study. When selecting applicants, the school places particular importance (among other things) on whether or not the applicant possesses the following: outstanding abilities in the natural sciences, sufficient command of English to study the various fields covered in that language, sufficient logical thinking ability, and the ability to play a leading role in future society, drawing on global insights, and a comprehensive grounding in the liberal arts. The English degree program of ASE aims to foster internationally-fluent human resources who can act as international engineers or researchers of the future in cutting-edge or cross-disciplinary fields. The curriculums, all of which are taught in English in principle, enable students to master basic science and engineering knowledge as well as knowledge and experimental skills pertaining to specialized fields, and to gain the practical skills necessary to become global human resources. 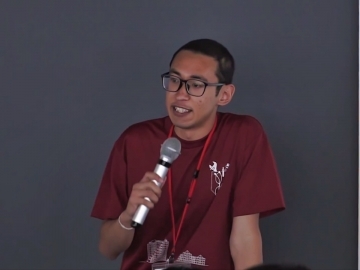 Utilizing Waseda University’s synthetic and creative approach, ASE facilitates diverse exchanges in scholarship, culture, language, and values in the university-wide educational environment and the students’ lifestyle, and thereby fosters global human resources who can contribute proactively to the global community. 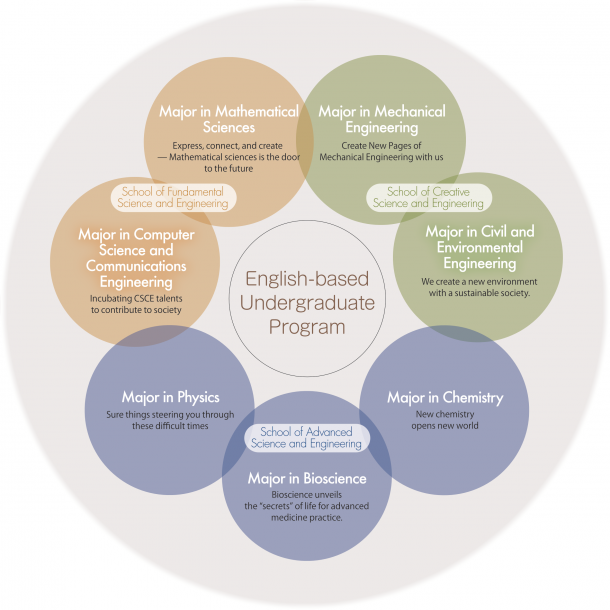 ASE offers three majors: Physics Major, Chemistry Major, and Bioscience Major. The Physics Major focuses on physics, the foundational discipline underlining cutting-edge science and technology. In the Chemistry Major, students study the fundamentals of chemistry as a central science and the applications thereof. In the Bioscience Major, students learn the fundamentals of medical science and medical engineering knowledge as they relate to vital phenomena, and the technologies that apply such knowledge. Students will gain a basic grounding in their major and develop the ability to identify and solve problems as well as general analytical/judgment skills. They will also gain the international perspectives and practical skills necessary for acting as global human resources. In order to graduate, students must demonstrate their mastery of the program’s targeted knowledge, methodological skills, and international fluency by earning the minimum number of credits within the allotted time period as set forth in their major’s study guidelines and the criteria for advancement/graduation. ASE will confer on such graduates a Bachelor of Science or Bachelor of Engineering degree. ASE provides a practice-oriented curriculum in which students gain the necessary grounding in science and engineering, including the applications thereof, by studying subjects such as physics, chemistry, bioscience, information science, and mathematics. In their major (Physics, Chemistry, or Bioscience), students master the fundamentals of the disciplines pertaining to said major. ASE also provides a Minor in Electronics and Electrical Engineering, in which students study the fundamentals of the engineering applications relevant to their major. ASE provides an English language course whereby students will develop the English language proficiency necessary to act as global human resources. ASE also offers a Japanese language course to those students whose first language is not Japanese. Those students who need to improve their English language proficiency can take a first-year course in technical English. 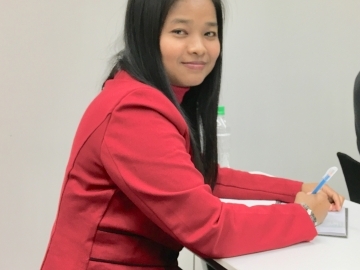 ASE has also organized the curriculum in such a way that those students who wish to improve their English may go overseas on a short-term overseas student exchange program, while foreign students may take an internship. ASE offers general culture courses designed to teach a broad range of knowledge. Catering primarily to foreign students, these courses focus on Japanese and Asian society and culture. The global human resources fostering courses are designed to foster the necessary attributes of global human resources, including knowledge and methodological skills, and practical skills such as the ability to identify and solve problems. In their final year, students take Graduation Thesis A/B, during which they deploy the foundational knowledge and skills they have accumulated and develop the ability to identify and solve problems as well as general analytical/judgment skills. They will also enhance other abilities such as presentation. The Major in Mathematical Sciences will provide a broad curriculum, ranging from fundamental to applied mathematics. The aim is to equip students with knowledge not only of mathematical sciences but also of its connections to scientific and engineering fields, and to provide students with the mathematical skills needed to make a contribution to society. The course places particular focus on three topics that are essential in modern society: nonlinear mathematics, computational mathematics, and statistical mathematics. Students in the Computer Science and Communications Engineering Major acquire cutting-edge knowledge and skills required for an advanced networked and computerized society, encompassing computer science, computer engineering and communications engineering. The major aims to maximize the individual potential of each student and thereby foster future engineers who will be able to contribute to these fields in a global context and in a variety of professions. Career paths are diverse thanks to the recent computerization, and include software, electric machinery, telecommunications, broadcasting, and ICT services. “Modern mechanical engineering” covers traditional areas such as manufacturing as well as recent areas such as robotics and medical engineering. In response to recent various social demands, modern mechanical engineering is expected to integrate architecture and management system engineering into mechanical engineering. Students can graduate only by taking courses, including laboratory courses and graduation research, given in English, but students are recommended to take also courses given in Japanese to learn relationship between academia and industry in Japan. We create a new environment with a sustainable society. Covering the fundamentals of civil engineering, students learn to create a better human society through the construction of infrastructure to propose sustainable society. The course includes environmental approaches to development, ensuring safety and security against natural disasters, improvement of urban environments. Career paths include engineers and planners for civil service, construction, transport, and energy industries. The Department of Civil and Environmental Engineering manages the major’ s educational program in collaboration with the Department of Resources and Environmental Engineering and Department of Architecture. Major in Physics provides you with a solid grounding in physics, which enables you to pursue cutting-edge researches on fundamental and applied physics. You can discover as-yet-unknown phenomena in physics, break new ground in the discipline, and develop new technologies based on the principles of physics. The faculty members who are well-versed in nuclear, particle, and radiation physics, astrophysics, mathematical physics, solid-state physics, biophysics, and physics-based engineering are waiting for you!! Chemistry is a field of science that involves the study of syntheses, reactions, and functions of substances and materials from the atomic and molecular viewpoints. The undergraduate curriculum provides students with a broad background in science and engineering with a focus on chemistry and chemical engineering. It also provides an option taking specialized subjects on chemistry in the regular course in Japanese. Thus, Major in Chemistry opens an avenue for various chemistry-related paths including professions in environmental science, biotechnology, nanotechnology, and chemical engineering through graduate course research. Bioscience unveils the “secrets” of life for advanced medicine practice. Major in Bioscience fuels discovery in Life Science and innovation for medical practice by providing fundamental and cutting-edge knowledge and techniques to explore the diversity of living system. In addition and prior to professional disciplines, students will receive basic training in foundational scientific fields such as mathematics, physics, chemistry, biology, medicine, engineering, and information science. To fulfill practical study, laboratory sessions will be incorporated to cover experimental techniques across the full spectrum of physical, chemical and biological sciences. In the first and second years, students mainly take courses aimed at acquiring the foundation of knowledge required in all fields of science and engineering, while preparing to take the specialized courses under each Major that begin from the second year. During graduation research, students are assigned to a research laboratory or seminar and work on compiling their graduation thesis under the direct guidance of their supervising professors. Students enrolling in September are required to take Japanese language courses, and they may take the courses offered by the university’s Center for Japanese Language.  English-based program September Entrance This admission is for students who have completed a 12-year education curriculum outside Japan.  English-based program April Entrance This admission is for students who graduate from Japanese high school. Please refer to the CIE website for scholarships for international students.